Today in this post I will tell you how you can watch same YouTube videos with many people together. We share videos with our friends and family on Facebook, Twitter, etc. because we went them to see which video just watched and wants them also to watch it. And we always like watch movies on TV with our friends and family. But we won’t able to enjoy the same sense at the same point of time when our friends and family are not in same physical place. To solve this there is a great tool called Watch2Gether. It lets you and your friends and family watch the same video with the same sense at the same point of time in same video quality. 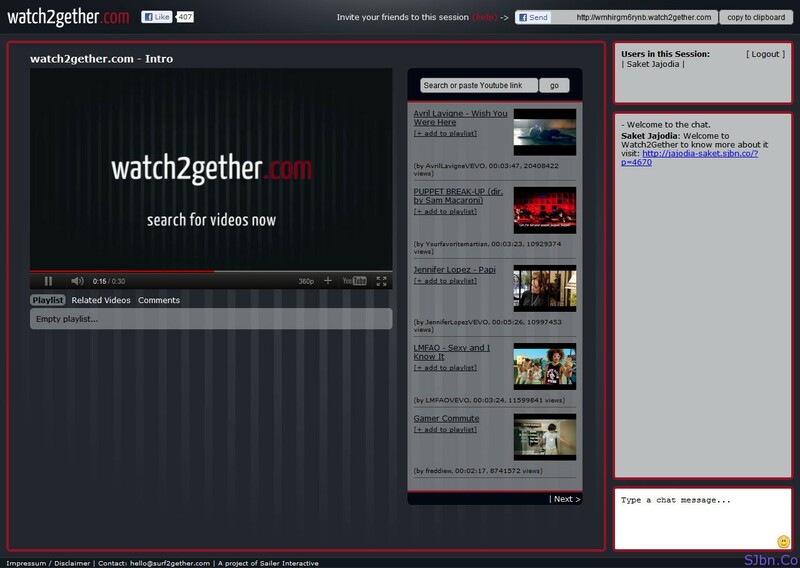 Simply go to Watch2Gether.com give you nickname and you will get a unique URL which you can share it with your friends and family now search for a YouTube video using search box or give the YouTube video URL in that search box, click on the video name you want to play, now it will start playing to everyone who is viewing video from that unique URL. You also get option to chat on right side with other so that you all can share your experience with each other. If anyone of change the video then it will change the video for everyone, if one try to skip a part of that video then it will also skip that part for everyone. If one got slow internet connection and watching in High quality then he/she might face problem in viewing. However if no one do anything mischievousness and have good internet speed then it is a good way to watch some movies together with friends and family who stays in different city or country.